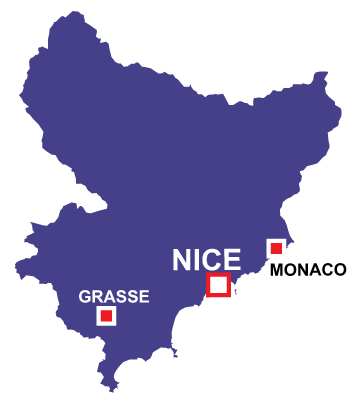 Nice is in the Provence-Alpes-Côte d'Azur region. 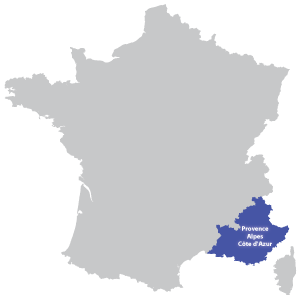 The city of Nice is the largest along the Provencal coast. 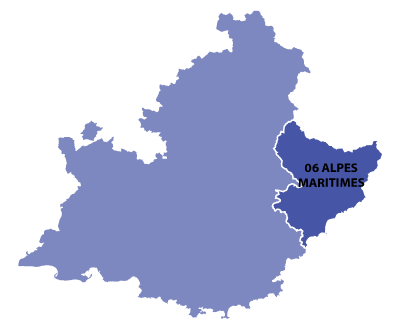 It became part of France as late as 1860, finally leaving the hands of the Savoies. A favourite destination for tourist, located on the Mediterranean cost in south east France. The famous Promenade des Anglais is the path along the coast with cafes, bars and beaches in a chic atmosphere.